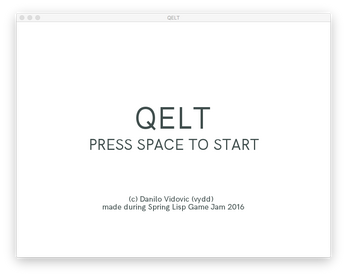 QELT is an action puzzle game made during Spring 2016 Lisp Game Jam. Use D/F and J/K keys to rotate the rings. 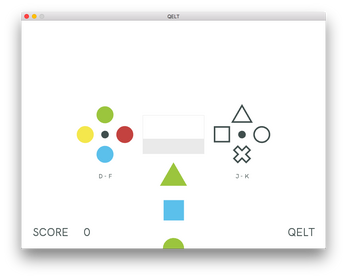 To get points, hit SPACE when the object in the scanner box aligns with the color on the left and the shape on the right. You don't have to match all shapes, but make sure that the scanner doesn't fill up before you make another match. The game is lost when the scanner fills up, or when SPACE is hit on an invalid match. Unpack the executables appropriate for you operating system and run Qelt. If you'd like to run Qelt from the source, checkout https://github.com/vydd/sketch dev branch and https://github.com/vydd/easing , along with https://github.com/vydd/qelt , and put both inside your ~/quicklisp/local-projects directory. Also, you're going to need SDL2, SDL2-Image and SDL2-ttf libraries from https://www.libsdl.org/download-2.0.php . 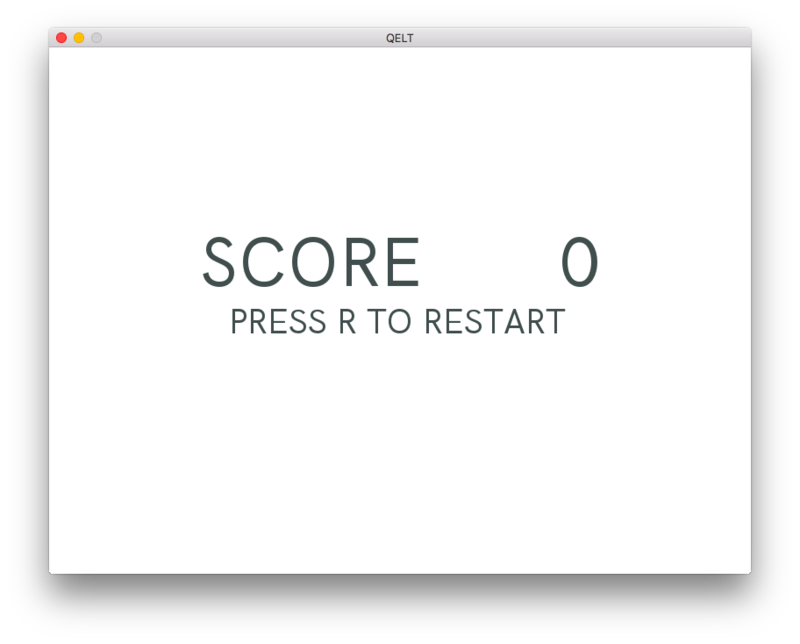 Run the game by quickloading QELT in your CL using (ql:quickload :qelt) and run the game with (qelt:qelt). If you need help, ask vydd at #lispgames. Qelt might not close properly on some platforms, so you'll need to force closing using the tools specific to your operating system (Activity Monitor, kill, Task Manager).